As radon is a colorless, odorless, tasteless element, the need for a water test is all the more critical. 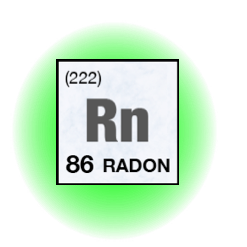 Radon is a radioactive gas which comes from the natural decay of uranium found in nearly all soils. Radon in water is not a problem until the gas escapes the water as it enters your home through faucets, showers, bathtubs and washing machines. To remove radon in water, a properly designed system that agitates the radon gas out then vents it safely to outside of the home is an effective approach to correcting this problem. A radon removal system that agitates the radon gas out of the water then vents it safely outside of the home is a proven, effective approach to correcting this problem. 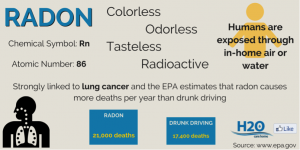 The risk of developing lung cancer at 4.0 pCi/L in AIR is estimated at about 7 lung cancer deaths per 1000 persons, which is why the USEPA and IEMA recommend reducing your radon level if the concentration is 4.0 pCi/L or more. For more on radon, see the link at https:/gov/private/wells/radon. 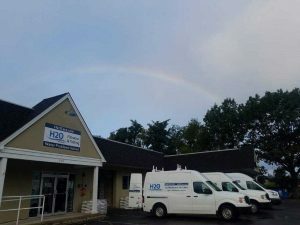 H2O Care, Inc. is an established Massachusetts company formed in 1989 for the testing, analyzing and correcting of water quality issues with offices in Hudson (Route 62) & Middleton (Rte. 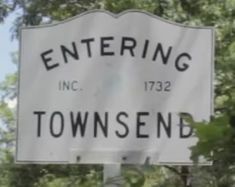 114), MA. The company has been published multiple times in Water Technology Magazine and other periodicals for common regional water contaminants. See the publications section on our website at https://publications. Reach us by email at service@h2ocare.com or by phone at 978-777-8330.